A fun sticker book to help young children and English learners build their vocabulary. 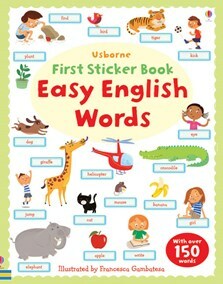 With over 150 everyday word stickers to add to the colourful pages, encouraging word and picture recognition. Themes include animals, the body and clothes, family and friends, food, home, in the town, actions, colours and numbers.